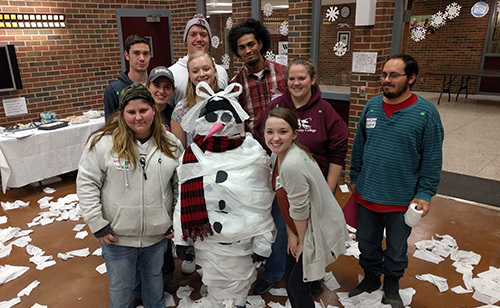 For students who wish to get involved on campus, FSCC offers a wide variety of student activities including Band, Christians on Campus, Collegiate Farm Bureau, Choir, Greyhound #SocialSquad, Livestock Judging, Meats Judging, Miami County Campus Ambassadors, Orchestra, Phi Theta Kappa honor society, President's Ambassadors, SkillsUSA, Sports Broadcasting, STEM Club, Student Nursing Organization, and Theatre. 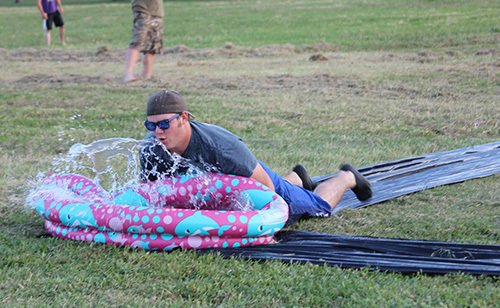 FSCC offers a variety of events and activities geared toward students throughout the year, including ice cream socials, canvas painting classes, grocery bingo, Easter egg hunt, welcome week games, finals week stress-busters, and more. For more information, contact the Student Activities Coordinator at 620-223-2700 ext. 3530. 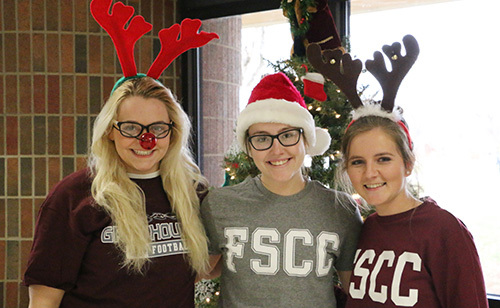 The FSCC Greyhounds compete in a variety of collegiate athletic programs for men and women. FSCC is part of the Kansas Jayhawk Community College Conference (KJCCC), a division of National Junior College Athletic Association (NJCAA), which is known as one of the most competitive conferences in the nation. Learn more about Greyhound Athletics. FSCC Cafeteria is open to students, faculty, and staff. It features a number of exciting additions to traditional cafeteria fare, including festive meals, monthly premium specials, and final exam snacks. Learn more about FSCC Dining Services. The Daily Grind, located in Bailey Hall Commons, serves hot and cold coffee drinks, juice, biscuits and gravy, hot breakfast sandwiches, snacks and more. Stop by for breakfast! The Daily Grind is open from 8:00 to 11:00 am Monday-Friday. Fort Scott Community College has two on-campus housing options: Greyhound Hall and Boileau Hall. The dormitories are designed to give students the best in residential living. Each provide a "living-learning" environment which is an integral part of the total educational program at FSCC. Learn more about housing at FSCC. Fort Scott Community is always helping us out, so it's our turn to give back to them. 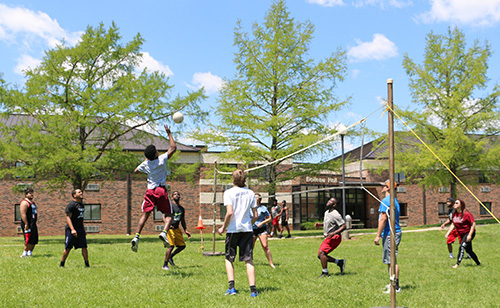 Check out the latest edition of Greyhounds Give Back! Click HERE for Greyhounds Give Back!